Hi everyone, today we’re talking with Navid Moazzez, an online entrepreneur who helps other entrepreneurs create, promote, and profit from virtual summits. I recently did a summit myself, and I had not idea there was so much work surrounding them, but Navid’s got it all down. He shares his process for setting up a summit, the best tools to use, and how to maximize the value of your summit after it’s over to keep generating new email subscribers and profits. But despite that, he found himself in law school with a desire to eventually figure out how to start his own business. He read lots of interesting and inspiring books on the subject, but he kept procrastinating and he didn’t know what steps to take. Finally, in 2012, he got a mentor, but he still found himself jumping around from one thing to another. But in 2013, he had a crushing personal experience (the loss of his younger brother) that really propelled him into action to seize the life he wanted. He saw that Pat Flynn was inviting people from his audience to feature him on their websites whether or not they had large followings, so he reached out to Pat in an authentic way and landed an interview. At the time of the interview, he didn’t even have a website to feature it on. But he launched his website with Pat’s interview, and that one interview eventually turned into many that were featured in the branding virtual summit he put together. Now, Navid focuses on putting on successful summits and helping other people do the same. Starting with Pat’s interview, Navid continued producing really high quality content for some time. He interviewed high-profile people, which was great for relationship building, but unfortunately wasn’t great for growing profits. People in his audience told him that his interviews were really great and so in-depth that they often learned more from them than courses they paid a lot of money for. With that input, he thought about turning his interviews into events. He stumbled across some health-based online summits and saw they were making six to seven figures from events that were free to sign up for, along with growing their email lists. He saw a few other summits in the online marketing space, and that was the force that gave him the guts to go after creating his own summit, even though he didn’t know if it would work. He noticed that he had a blog post about branding that was doing really well on his website, so he started his branding summit, which turned into the #1 branding summit for online entrepreneurs. He had 88 experts for the summit (which he doesn’t recommend to anyone). When Navid hosted his own summit, The Branding Summit, he got about 200 sales (from the free signup to the all-access pass) for $20,000 in profit. This enabled him to quit his job, move abroad, and get the freedom he always wanted. To top it off, he also added 3,000 subscribers to his list because this was the amount of people who signed up for the free version of the summit. He also turned his pre-existing fans (around 1,000 people) into super-fans who will purchase just about anything he promotes to them. “But what’s really exciting is what happens after the summit is over,” said Navid. After the summit happened, in January, he did some affiliate programs, launched his pilot, and was able to do $40,000 in revenue in January 2015. He became Ramit Sethi’s #1 affiliate for his Zero to Launch course, even ahead of names like John Lee Dumas and Laura Roeder. His business was on track to hit six figures soon into 2015, and he even got featured on Business Insider and was quoted by the Huffington Post… all which were a direct result of The Branding Summit. 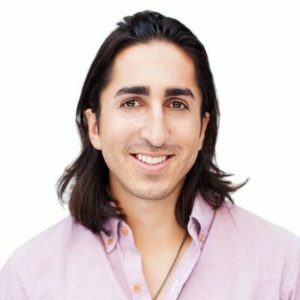 When he put on The Self-Publishing Success Summit with Chandler Bolt (who already had a six-figure business with a 12.5K email list), Navid was able to grow his email list by an additional 25,000 people, and together they did $300,000 in sales combining the sales of all-access passes and selling Chandler’s high-end self-publishing school product. There’s a lot of things you can do after a summit, says Navid, and it all depends on the reason you’re hosting the summit in the first place. For example, Chandler did the Self-Publishing Success Summit to sell Self-Publishing School. They set up the summit to be evergreen (omitting dates from the interviews, for example), and made 3-4 interviews available for free. When someone signs up for those free interviews, you can put them into a sequence of 5-6 emails to build trust and then pitch them an all-access pass. Or, says Navid, you can re-purpose some of the interviews in the podcasts, put finishing touches on transcripts to sell it as a book on Amazon, or use the connections made for guest posting. For selling the all-access pass, you can get a 5% to 6% conversion rates from those who signed up for the free access, especially as the summit goes on: people see the value and realize they want to buy in. Navid’s interviewed people like Neil Patel, John Lee Dumas, and Rand Fishkin. They’re all in the top of their industry and make seven to eight figures in the business. The A-Listers bring great credibility, but it’s important to have a mix of A, B, and C-listers on your summit. You want the A-Listers to lift the credibility of the summit and your authority as an individual. But you also want people who are maybe only a few steps ahead of you and who are eager to do some promotion of your summit for you because they’ll also be desperate to boost their credibility by being seen alongside A-Listers. As a strategy, even before you start approaching people for your summit, you need to make a list of 15-30 people you’d like to feature. It also helps if you can structure the summit like an online course. For example, with Chandler’s summit, they structured it into different phases: publishing, marketing, monetizing, etc. Since you want people to get results from the information you provide, structure it like a course with a step-by-step system based around getting actionable results. This will also help you decide who to feature, and what you want them to talk about. First of all, A-Listers are really busy people, so even if you’re good friends with the person, you can’t bank on them doing any promotion for you. For example, I (Eric) have Neil Patel as my friend and mentor, but he told me he couldn’t promote my summit even though he was a speaker on it. If he helped me, it would set a precedent that he had to help promote others as well, and he really needs to protect his brand image. But sometimes, suggests Navid, it’s more about making it as easy as possible for people to promote. It never hurts to ask people to promote, and if you put in the work to create really nice images and making promotion only one click of work to share on social media, you can often get an A-Lister to promote to their social media following, even if they don’t do any heavy promotion. For any summit, just like any new product, it’s important to have a promotional calendar, to hand it out to your affiliates (and your speakers), and to be persistent with people doing promotion for you in a non-pushy way. Mostly, says Navid, the external promotion is all about following up and focusing on relationships. If you do a great job with that, then your summit (product) will be something they’ll want to share with their audience. Navid’s got a seven-step checklist for the things that he does with each summit he puts on for himself or for one of his clients. Check it out in the links below. Navid says his greatest challenge ever was growing his email list. Before he started doing summits, he would write really comprehensive guides, do content upgrades, and build relationships with the people he was interviewing. No matter what he did, it seemed like his list just wouldn’t grow. But summits have solved that problem for him. He’s also starting to work in a very short (5-10 minutes) mediation after drinking his big glass of water. He’s heard great things about people meditating daily, so he’s trying to get into it as well.